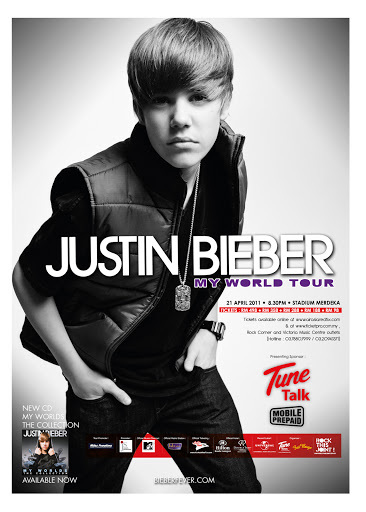 Justin Bieber is coming to Kuala Lumpur for a concert, live! Here's Justin's message to all Malaysian Bieber fans! Poster artwork from Mr Hamka of Fat Boys.